The last time I spoke to my brother Sam, he told me he and his family had sat around the kitchen table drooling over my blog post, My Favorite Silver Palate Chili, a traditional, spicy, ground beef-based chili. Finally, one of his children said, “Yeah, Dad, but who’s gonna make it?” And there the story ended. I had to agree, the Silver Palate Chili ingredient list was daunting. 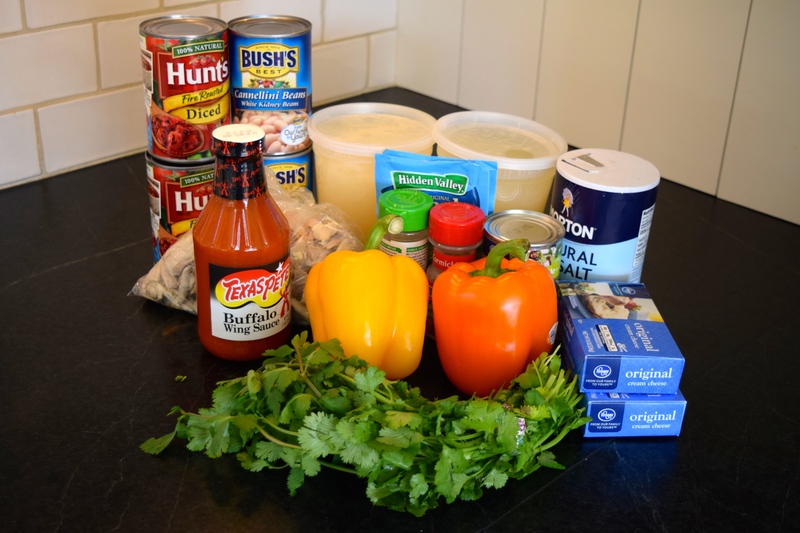 I promise you, Sam, this chicken chili recipe is much simpler to make. This recipe should be called Disappearing Chili because each time I have seen it served to a crowd, it has been completely consumed. In fact, at the end of the 2nd Annual Vanderbilt Liver Transplant Team Chili Cook-Off, not only was the crock pot bowl holding it empty, it also took the top three awards: Best Chili, Spiciest Chili, and Kid’s Choice. 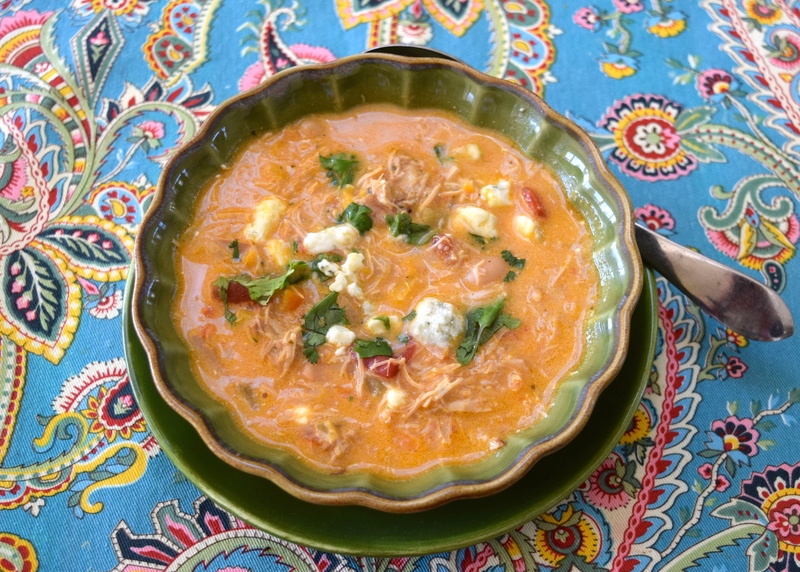 Essentially, if you like the flavor of spicy buffalo wings dunked in blue cheese dressing, you’re going to love this chili. Lisa credits the marvelous Crockpot Gourmet as the inspiration for her version of this recipe. I’ve taken the liberty of changing it up even further by adding a few more ingredients, including cannellini beans and more broth. 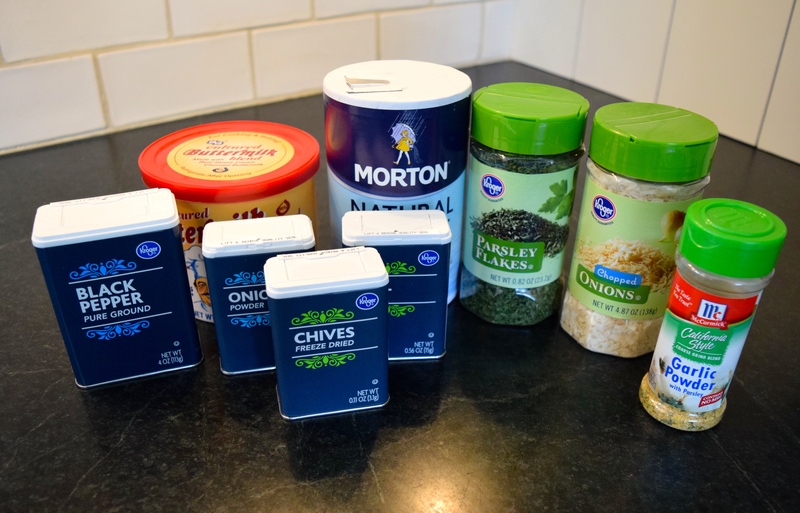 If you would like an additional challenge, at the end of this post, I’ve given instructions on how to make your own ranch seasoning mix rather than using the prepackaged mix that is loaded with MSG. Blue cheese crumbles and freshly chopped cilantro. Serve over rice, if desired. 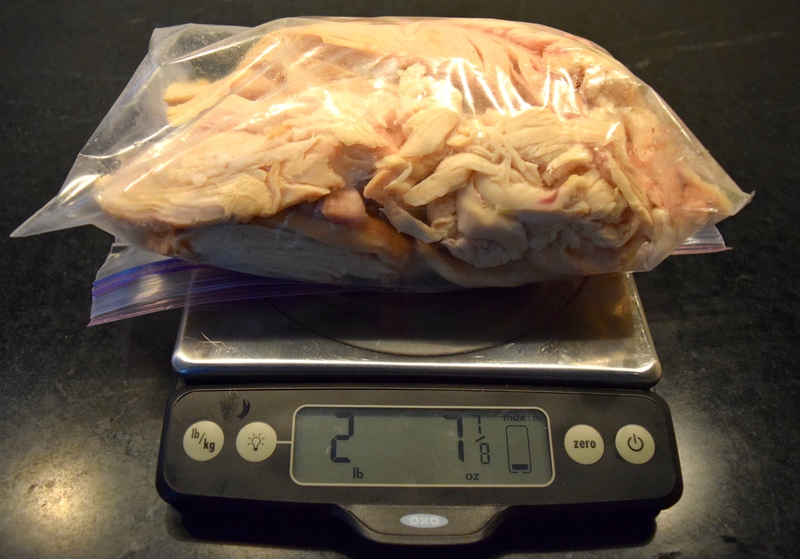 How much meat does a rotisserie chicken yield? I spoke to the butcher at Costco, who said all of their rotisserie chickens weighed 3-5 pounds. Here’s a good tip: How do you know which ones weigh 5 pounds? Look for the ones where the chicken is touching the top of the container. Any chicken weighing less than 3 pounds is used for chicken salad. Any chicken not sold within two hours is pulled from the display case and is used for chicken salad. This fryer weighed 4 pounds 7 ounces. It only costs $5.00. It yielded 2 pounds 8 ounces of meat. There was 1 pound 13 ounces of skin and bones leftover. 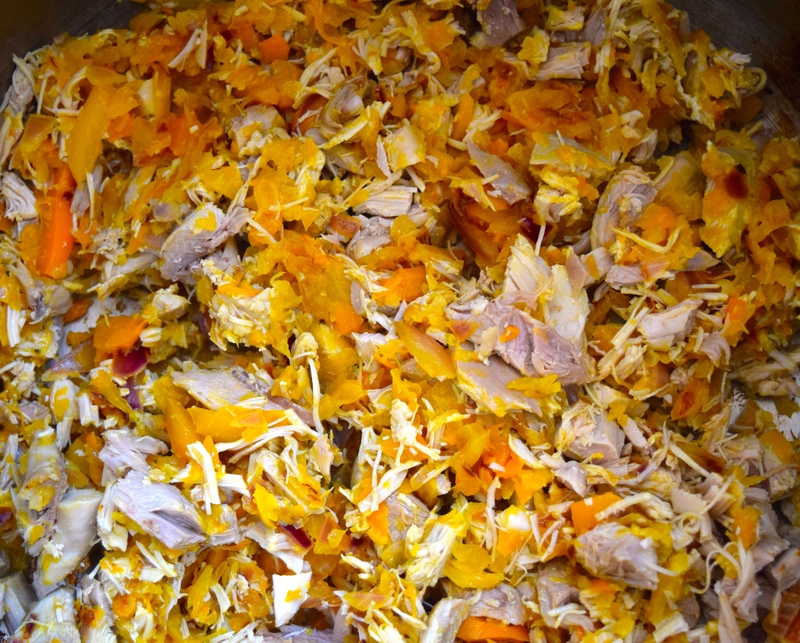 Save this in a bag in the freezer to make Chicken Stock from Rotisserie Bones. 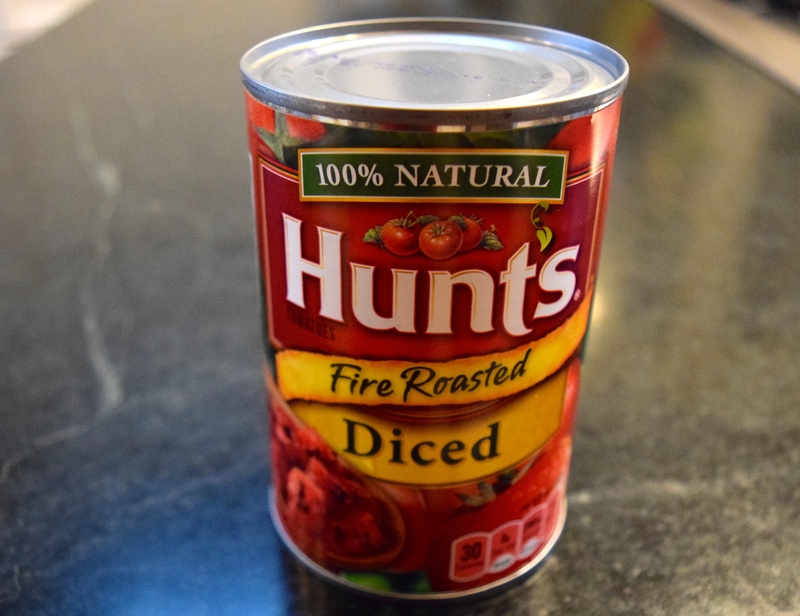 Fire Roasted Tomatoes add bite to soups. The ingredients include tomatoes, onion and garlic powder. 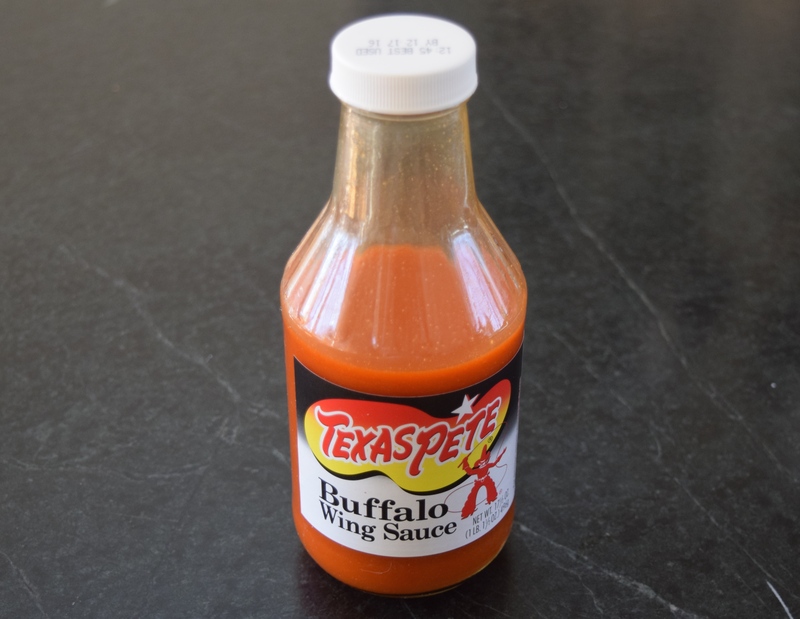 Buffalo Wing Sauce is a hot sauce with “butter” (natural butter flavor) and is intended to go directly over cooked chicken wings. 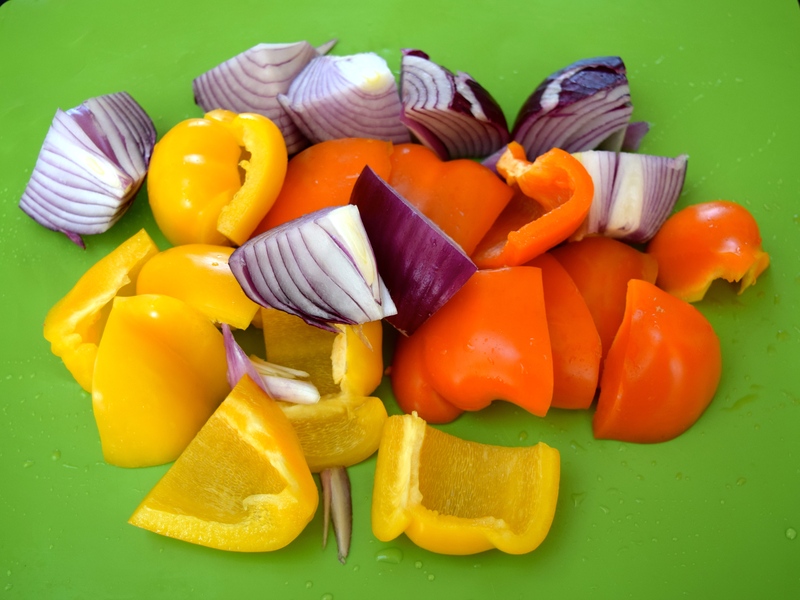 1) Prep vegetables: wash, remove seeds and stems from the peppers, and chop into large chunks. 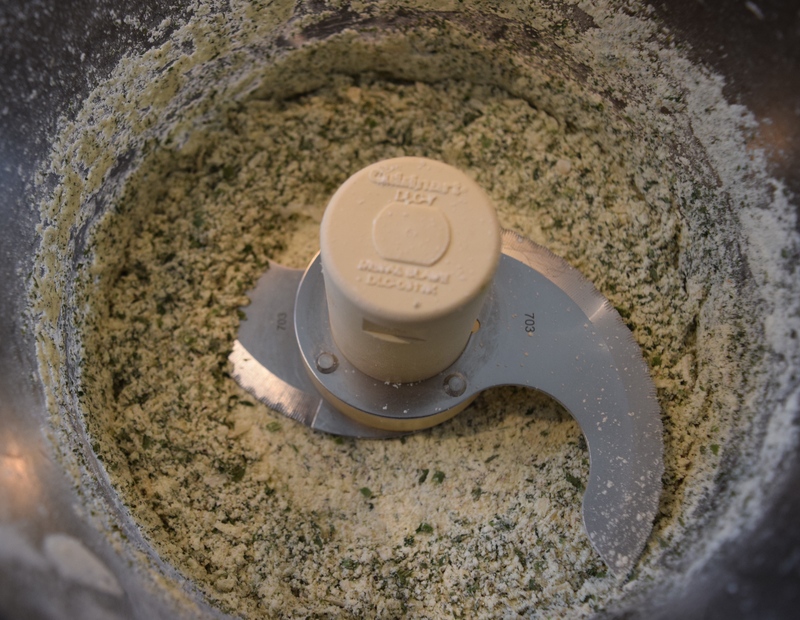 Chunks should be small enough that when placed in a food processor, they’ll not only fit but will also process evenly. 2) Prep chicken. 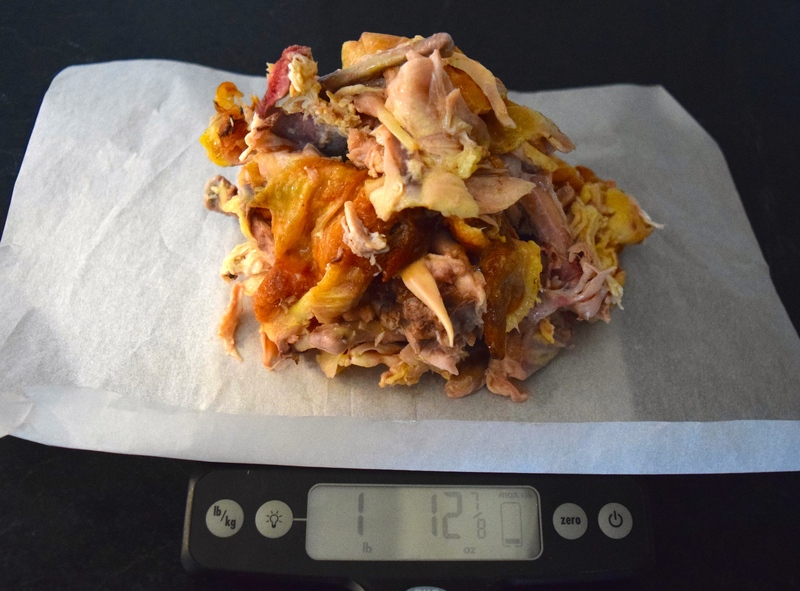 If using rotisserie chicken, pull the meat off the bones and chop into bite-sized pieces. 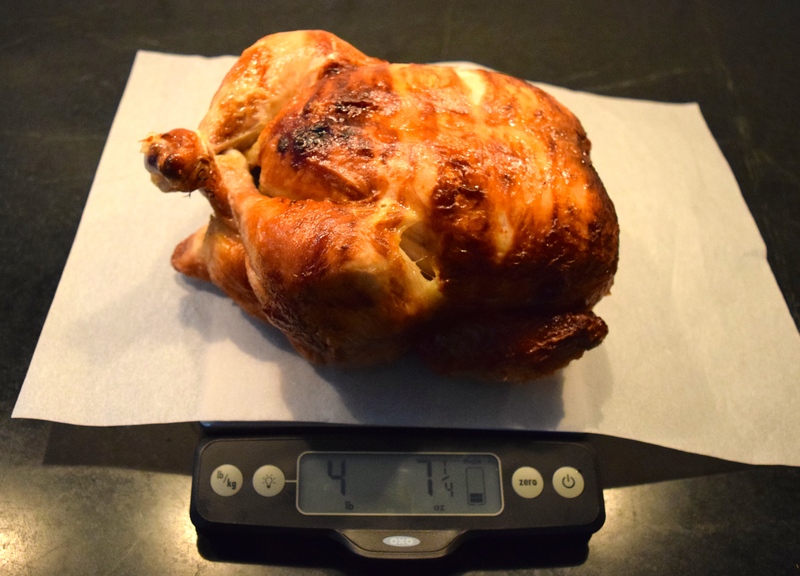 Each rotisserie chicken should yield about 2-3 pounds of meat depending on how big the chicken is. 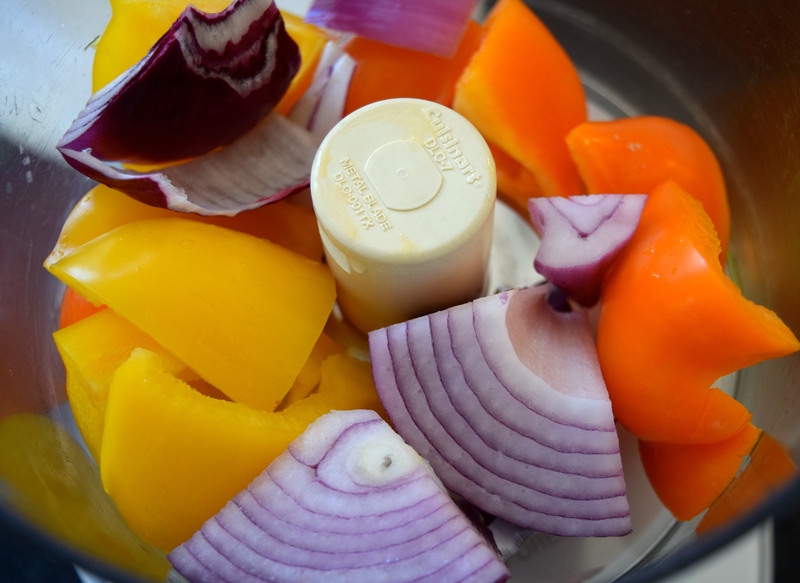 3) Sauté the vegetables for 10 minutes until they are soft and translucent. 4) Add chicken and stir. 7) Wash and dry cilantro. Snip each leaf off the stem. Serve in a separate bowl alongside a bowl of blue cheese crumbles. 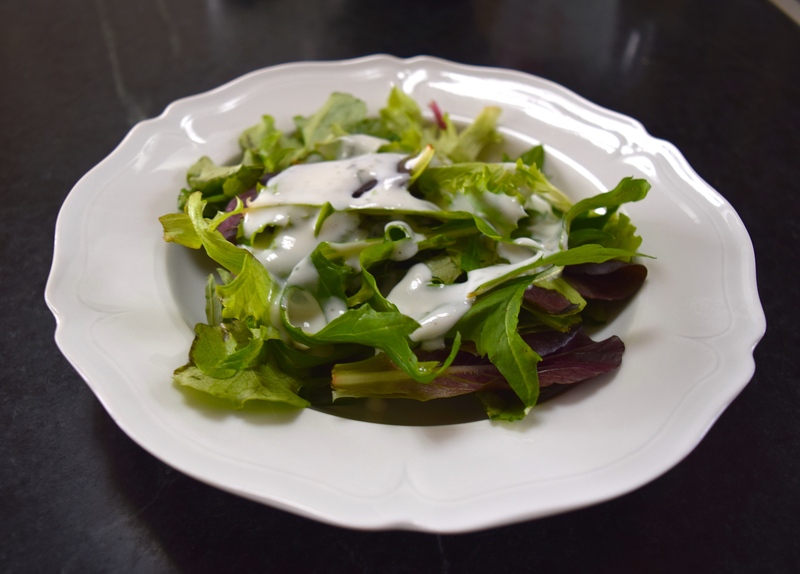 I thought it would be a fun challenge to try and make my own Ranch Salad Dressing and Seasoning Mix, so I searched the web for a homemade version and found one over at Gimme Some Love. This mix is excellent, and the advantage is there are no preservatives. The mix has a 3-month shelf life in the refrigerator. Whisk all ingredients together until blended. 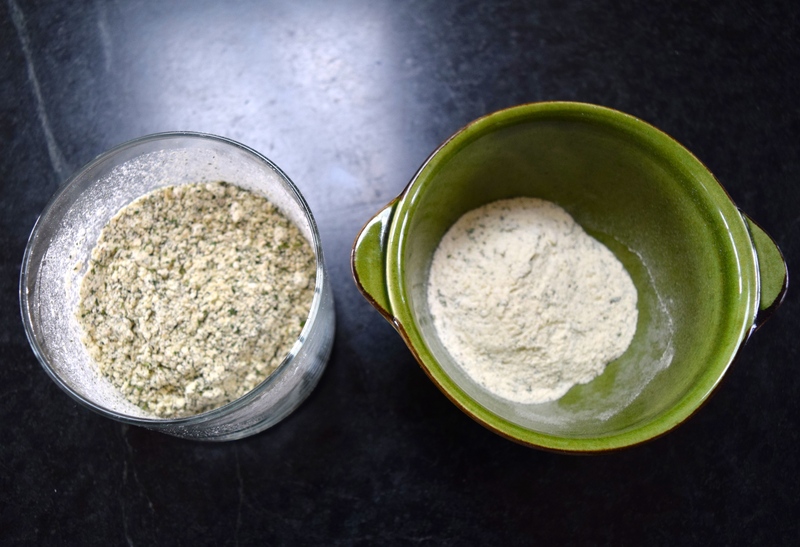 If you want a more finely ground seasoning mix, you could pulse the mixture in a food processor until it reaches desired consistency. Homemade on the left, packaged on the right. *3 tablespoons of this mix = 1 packet of store-bought mix. 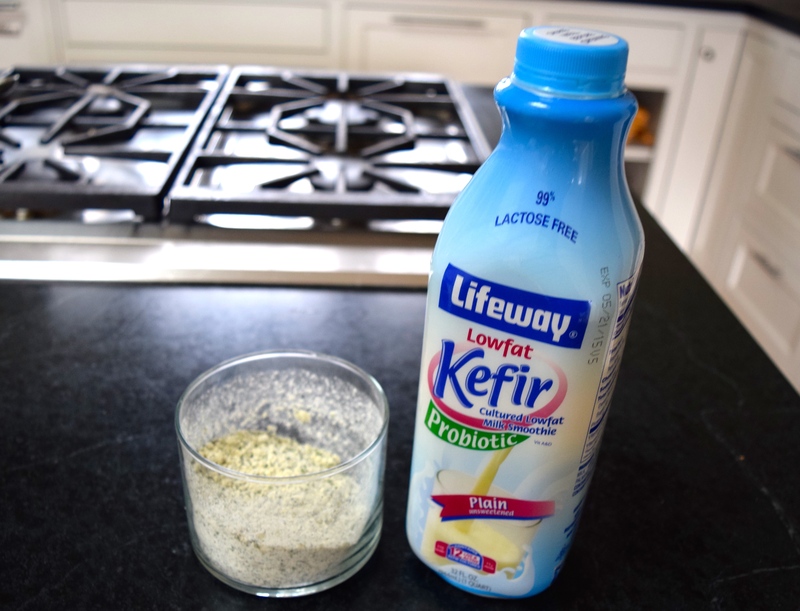 To test the homemade mix, I mixed 1 teaspoon of my homemade mix with 1/4 cup of plain, unsweetened Kefir, which is similar to liquid yogurt. 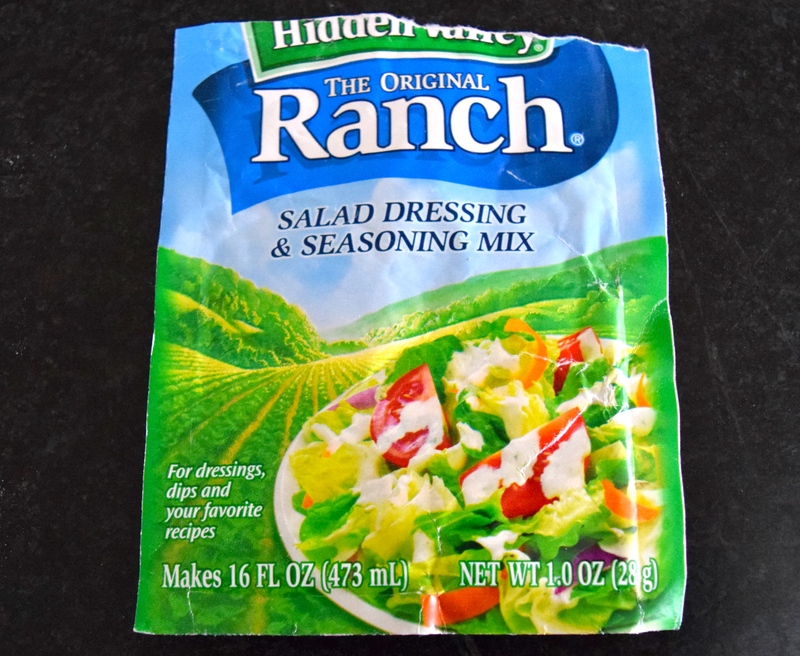 I poured it on my salad, and it was delicious. It’s also good as a low-calorie dip for vegetables. Wes and I are having a few friends over for dinner tonight. I cant wait to make this for supper. It sounds delicious. That’s perfect. Add the cream cheese just before serving though. Thanks! This is delicious!! 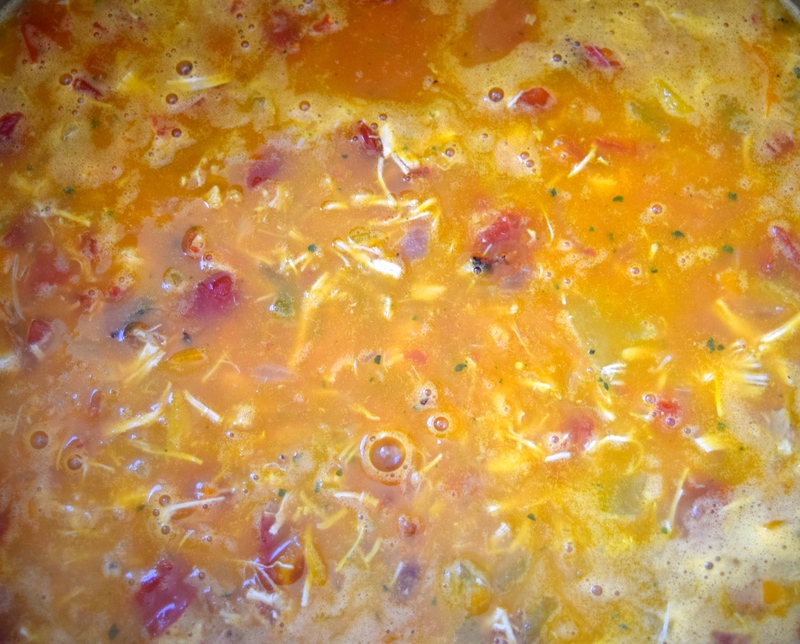 Fixed it over the holidays and it was a big hit– perfect “man” soup, and I loved it too! !